About a month ago I received a package in the mail. I was quite excited because I hardly ever get real mail, let alone a package. The package was delivered from Juneau, Alaska. This was even more surprising because, although I do know people in Juneau, I wasn't expecting anything from them. It turns out, that it was from the person I know! My mom's two sisters, Julie and Martha, live in Juneau. Sadly, I have not taken the opportunity to visit but will definitely do so as soon as I can. My Aunt Julie sent me a lovely card and a stack of children's books. She explained that she reads my blog (!! so excited to hear that!! Hi Julie!!) and she wanted to send me some books about Alaska to add to my collection. Some girls like flowers, some like chocolates...this girl loves books! It was about the best darn surprise ever and I feel terrible it has taken me so long to post about the marvelous collection that I now have. After reading these books, I am even more motivated to get to Alaska and I know you will be too. Happy reading! 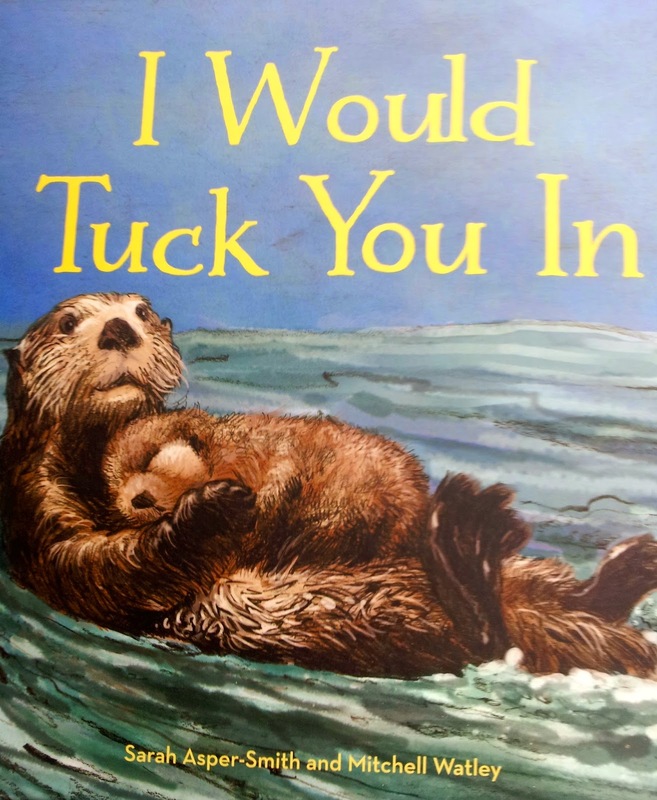 I Would Tuck You In is a story about unconditional love told through the perspective of different animals that live in or near Alaska. It is similar in format to Mama, Do You Love Me? and seeks to answer that childhood wonder about whether or not your parents will love you no matter what. 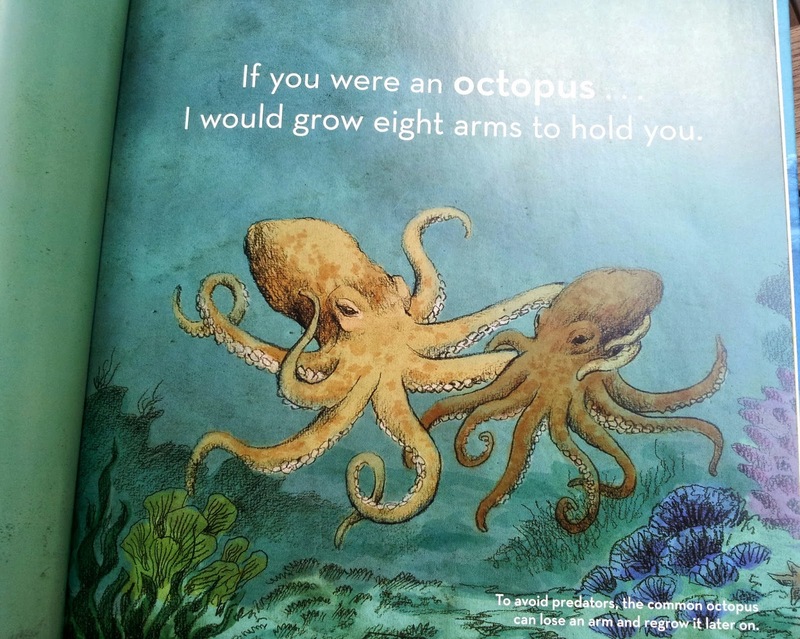 In this story, the narrator describes her love for her little one by describing how she would love her child if she were an octopus, a bear, a rufous hummingbird, etc. The authors add a little nonfiction flair by stating facts on the corner of every page that connect to the animals and how they show their love. One of my favorites is the love of the snowshoe hare. "If you were a snowshoe hair...I would change my colors to play hide and seek with you," states the narrator. The fact added reads, "Snowshoe hares change from brown in the summer to white in the winter for camouflage (to blend in with their surroundings)." Amazing!! This is the one Alaska book in the pile that I had actually read before. 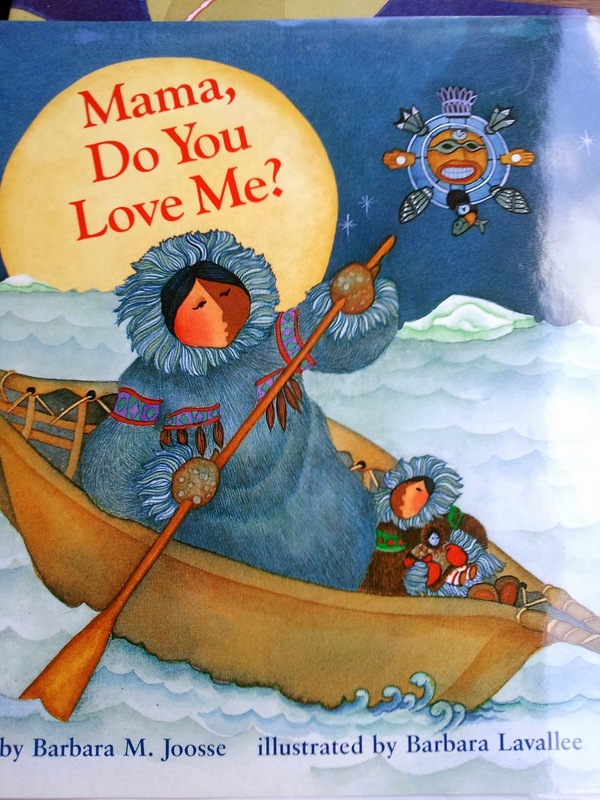 The story is of a young Inuit girl testing her mother's love by asking how much she actually loves her. She wonders if her mother loves her more than a dog loves his tail, if she would love her if she broke all the ptarmigan eggs, if she would love her if she threw water at the lamp, etc. The mother patiently responds every time that although she would be upset at times, she would always love her Little One. Just as in I Would Tuck You In, the author and illustrator throw in some nonfiction. Below the dedication, the illustrator describes the traditional masks that are seen throughout the book. 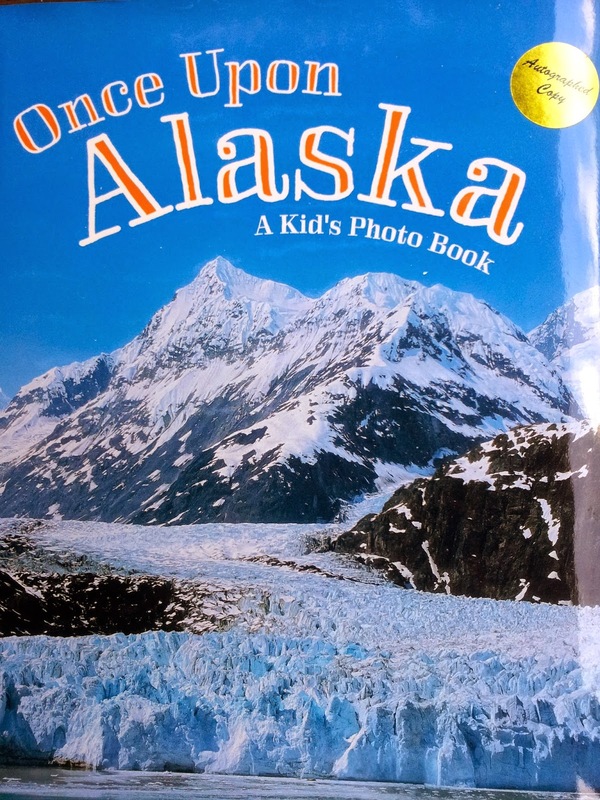 At the end, the author gives more information about the Alaska-specific parts of the story. I know you were wondering about the ptarmigan eggs, right? Well, the book will tell you all about it. Nick Jans and Mark Kelley join forces to highlight the beauty that is Alaska in this book of spectacular photographs. Nick captures the wildlife, scenery, and day to day life of people living in Alaska while Mark pairs it with a story in verse to describe what makes Alaska beautiful. Whale tales, rainbows, mountains, and glaciers grace the pages and make you want to start looking into plane tickets to the Last Frontier. It certainly did that for me! I particularly love that the author and photographer included their own families into the book. Kids will love seeing a world unlike anything they have ever seen. The movement of the font and the large print also make it easy for your little ones to tackle this on their own, practicing all those important reading skills they have been learning in school. My favorite photo? 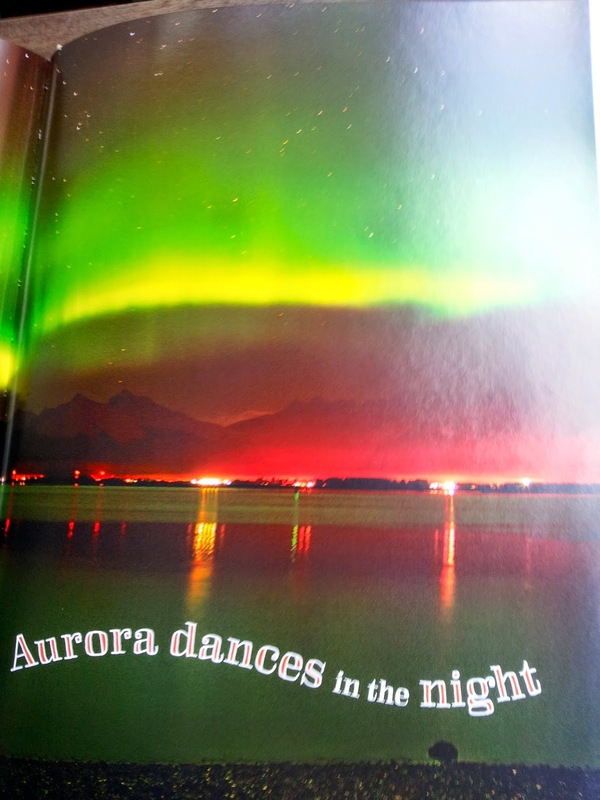 Aurora Borealis, of course. It is on my bucket list of things to see before I am too old to leave my home. 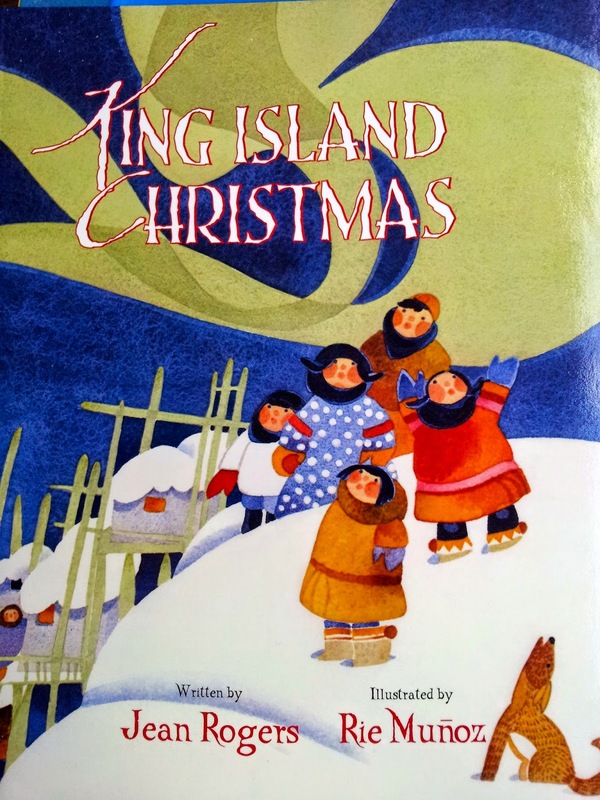 This is a great companion book to all the fictional stories about Alaska. I will see it someday! !